I've taken the 71 twice so far, but haven't gotten around to reviewing it yet. Since it got requested to me by Eric Cornell, however, I feel compelled to review it. The best part about the 71, of course, is that it's a trackless trolley (and I love trackless trolleys). 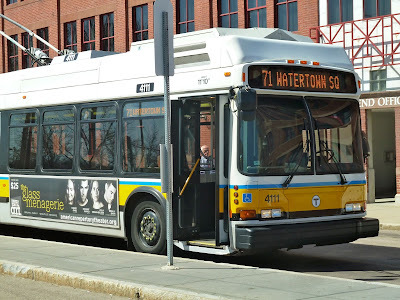 One of the two buses to really serve Watertown (there are others, but they only just nick Watertown Square), the 71 travels through a more suburban-residential part of Watertown, unlike the strip malls and industrial areas along the 70. The 71 and 73 board on the lower busway at Harvard Station, requiring an interesting way of paying your fare. Since the lower busway platform is on the left side of the bus, you have to enter in the left-hand door in the center of the bus. You actually don't pay your fare until leaving the bus, which requires sort of an honor system of paying. There are no instructions in the busway about this, so I was a little confused the first time I rode. A very low-quality (and terrible in general) picture of the 71 at Harvard. Exiting the busway, the bus immediately turns onto Mount Auburn Street with a stop just outside the post office. Leaving Harvard Square, Mount Auburn Street gets suburban very quickly. The bus passes the Mount Auburn Hospital, a major stop, and then goes by the Mount Auburn Cemetery. Intersecting with Brattle Street, things get more urban again, with apartments and a small clinic. The bus also passes Aberdeen Ave, the terminus for the 72 bus, and shortly after the 71 and 73 split up, the 73 travelling up Belmont street and the 71 staying on Mount Auburn. At this point, there's a mixture of houses, churches, and businesses, including yet another medical center. The bus passes a large sporting complex among an almost purely residential portion with a few churches dotted in here and there. Nearing Watertown Square, reasonably large buildings start popping up, including a shopping center with some big-name stores. The bus then enters the small Watertown Square (not yard) busway, shared with the 59 bus, as well as the 70 on nearby Main Street. The wires continue off to Watertown Yard, although the yard isn't running anymore (I've always thought it was kind of a sad place, but that's just me). My father and I were one of the three or four people who got off in the busway, the other passengers getting off one stop earlier to get to the businesses of Watertown Square. 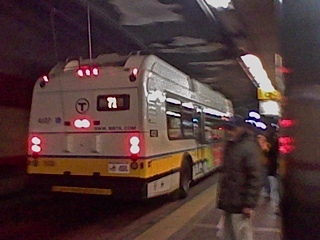 A MUCH better picture of the 71 at Watertown Square (shouldn't that destination board say "Harvard?"). Ridership: I've ridden this bus twice towards Watertown, and both times there were only about 10-15 people on it. Both times, however, I would see buses going the other way that were packed...I have no idea. The bus seems to mostly consist of routine riders, since most people knew how the fare system works and the driver seemed to know everyone's names. Pros: It's a trackless trolley - duh! Also, it's one of the only buses to really serve Watertown, and it serves a lot of it. Being a Key Bus Route, it has a very good schedule, running every 9 minutes rush hour, every 15 minutes midday and Saturdays, and every 20 minutes Sundays - although, as someone I know described it, "There's one 71 for every five 73's." Although the 73 runs a little more often than the 71, I don't think I would exaggerate it that much, although I do see more 73's than 71's on Mount Auburn Street. Also, I have never, ever seen the 71 bunching, a feat rarely pulled by Key Bus Routes. Cons: Not much, except for the fact that the fare system's a bit weird. I wish there was some signage about it at Harvard, but that's about it. Nearby and Noteworthy: There's a vegan restaurant on Mount Auburn Street called The Red Lentil that's absolutely delicious. I've only ever been for breakfast, but it's very good food. In Watertown Square, there's also the Armenian Library and Museum of America, a museum that features Armenian artifacts from the past 3,000 years. It makes for a very interesting hour or two, and the third floor exhibit changes every few months. I may be biased, since this is a trackless trolley, but it serves a large part of Watertown, has a good schedule, and doesn't bunch (and it's a trackless trolley). It's never been crowded for me, but I often see 71's that are quite full, making it a bit hard to judge the ridership (but it's a trackless trolley). Overall, a very good, frequent bus (that's a trackless trolley). It would be nice if they could just cut across so as to bypass the South Bay rail yard, but there's no existing right-of-way there, so it would be very expensive to build. It should be ready in two years, hopefully. Many more pictures here. Thanks for this review! I too would have given the 71 a "9". There's one advantage to the pay-as-you-get-off system (which applies to outbound only): Usually it takes a long time to board buses in Harvard Station because so many get on there. But the 71, 72 and 73 load up fast, since you don't have to pay as you get on. People tend to get off in twos or threes, spread out all along the outbound route, so there is no line to pay your fare as you get off. 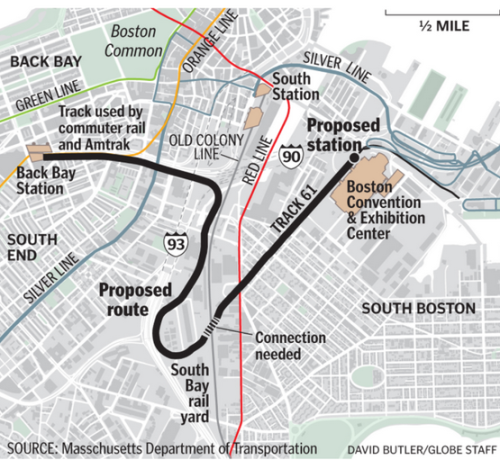 This system reduces congestion in the Harvard busway. You don't have to trust in the honor system because _all_ along the outbound route you get on free, so everyone who gets off is expected to pay. If you've forgotten your fare and have no money then, of course, you are not allowed to get off and indeed are never heard from again. This is what happened to my highschool classmate Eliza Gagnon, and I haven't seen her for 34 years. It sounds similar to the Kingston Trio's song "M.T.A" about poor old Charlie. Actually, MBTA can install "fare boxes" outside similar to the set up NYCS' MTA uses for their Select Bus routes. That way by showing your receipt you avoid being stuck on the bus and not being heard from again. Actually, years ago, I used to take the 73 bus to Belmont where I worked at McLain Hospital. The thing I admired about that bus and the 71 was that they were still electric despite GM's "incentive" to force other communities across the US to buy their diesel buses and create pollution. It nice to see that these buses are still electric. I thought the overhead wires were torn down years ago. Eric, I think I've seen that diner before. Does it look like a "streetcar diner," because if so there's always a wait there for Sunday brunch. Michael, I too love the trackless trolleys (as I've said a million times already). I've never heard of this GM thing - is there a website that provides some more information about it? Yes, street car diner, that's right. Glad to hear it still does a big business. I really like the fare scheme that Michael alludes to: you buy a ticket at the fare box and then keep it on you in case they do a "control". It means there is no need to wait getting on or off and buses, trolleys, etc can all load and unload much faster. At rush hour a bus can easily spend half its time along the route loading and unloading. If you cut into that wasted time, the transit system improves. The keep-your-receipt system is in use all over Europe, and I think it should be used more widely here. Of course, if you get on the bus without paying for a receipt hoping that you won't get caught, and they do pick that one bus at random to check, you have to fork out big bucks. But that's no one's fault but yours. Nothing more to add at this point other to add something I keep forgetting to mention: trackless trolleys are awesome. It's a good idea, but it would be expensive to install fare boxes at every single stop. What if they added a new option to CharlieCard machines in subway stations to be able to print bus receipts? And then they could also install fare boxes at major bus shelters. 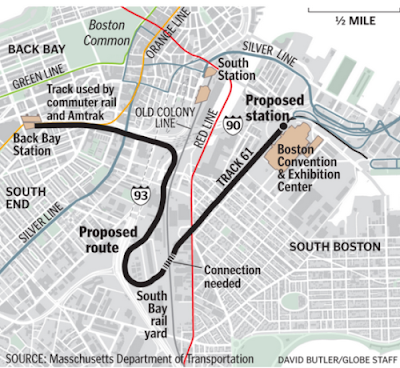 I think it's an interesting idea, although maybe only for Key Bus Routes. There's no need to have them on deserted suburban routes. Oh, yes, and trackless trolleys are amazing. You're right that it would be expensive to have ticket machines all along lightly used bus routes. Plus, the machines are vulnerable to vandalism if they are not in busy locations. So, it's not for every route.The idea works best if there are ticket boxes at all stops on the route, so that the driver on that route basically never messes with collecting fares at all. At bus stops, he opens front and back doors and if a lot of people want to get on, they can get on the back door. In Italy, they use this system and there are buses with three doors. You get on through the door at the front or at the back, and then as you get closer to your stop, you move towards the center of the bus and everyone gets out the (double-wide) center door. It's super fast: you can can get 20 people on the bus and 20 people off all in about ten seconds, and then you're rolling again. An alternative to having ticket dispensers everywhere is to just have them at main stops. While you're at a main stop, you can buy a ticket that's good for ten rides, so you use that ticket if you get on at a remote stop with no ticket machine. Once you're on the bus, you "validate" the ticket by sticking in one of several time-stamp machines on the bus. After it's been validated ten times, you throw it out and buy a new one. Every couple weeks or so, when you least expect it, the bus stops and the "control guys" get on, and look at everyone's ticket. If you're ticket doesn't have a recent validation time stamp on it, you're expected to pull 50 Euros out of your pocket and pay your fine right then and there. Which is a steep fine, although easier to take if you're in a good mood from riding on a trackless trolley. The 71 is ridiculously packed in the evening, even to 6 PM or later. I've seen people left behind at Harvard for lack of space. Between the awful traffic and the number of people getting off in 2s and 3s and stopping to squeeze more people on as people get off on a bus that is packed like a sardine can, it's a pretty painful ride from Harvard to Watertown. This is where the pay to get off system fails. The bus may load quickly at Harvard, but waiting for 2 people to swim their way through the crowd to the front door to squeeze up close to the fare box to pay and get off quickly negates any time saved at Harvard. It would be quicker having them pay as they got on at that point since much of the wait time on paying to get off is people inching their way to the farebox. The 20 minutes it takes to ride this bus from Harvard to Watertown Square in the morning is closer to double that in the evening. The 71 in the evening easily rates on my most hated bus commutes list. They also bake you in the winter, as if your ride isn't already pretty uncomfortable. Love this bus coming back from Watertown Square in the evening. Love this bus going from Harvard to Watertown in the morning, HATE it with a passion going in the same direction in the evening. Huh...it's always very quiet whenever I ride. Perhaps I just ride at the wrong time? Although actually, based on your description, I'm kind of glad I haven't had to deal with it. The 71 is the worst bus route ever. SpottedLop is accurate. Today for example, took me 47 minutes to get from the Star Market in Cambridge (Aberdeen stop) to get to Harvard Station. Maybe a mile long? I've never had any problems with the 71, for some reason. I know that the 77 is pretty horrible, though. I used to ride the 70 from Waltham to Watertown Square and take the 71 into Harvard for work. It does get very packed during rush hour, and there's even some "bunching" during peak hours. I always liked this bus, though, it's an easy way to get from Harvard to Watertown and it has a good schedule.